If you're a grown man who likes to dress matching from head to toe, these summer time short sleeve leisure shirts and pants suits by Fortini menswear will have you dressing in that style that you like to be seen wearing. 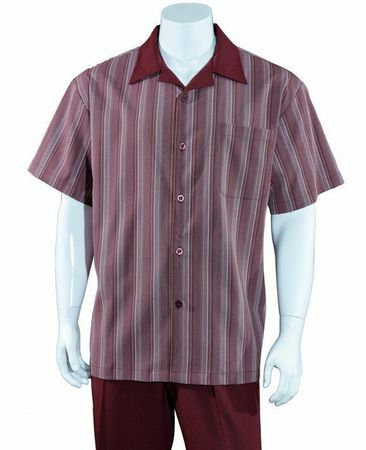 The shirt is an open collar style top with stripes on it and the pants are solid burgundy color with pleats. All made of a soft poly fabric.